As Haji Muhammad watched Islamic State (ISIS) militants take control of his village in Achin district in eastern Afghanistan's Nangarhar province, he realized a new era of terror was unravelling. Muhammad is accustomed to the presence of Islamic militants - the district had been under Afghan Taliban's rule for several years as the Afghan army and NATO forces were never able maintain a presence in the mountains there. "When ISIS expelled the Afghan Taliban, I got worried because I knew how cruel these militants were," said Muhammad, requesting his name be changed as he feared ISIS reprisals. "They are former Pakistani Taliban from the tribal areas of Khyber and Orakzai, close to the Afghan border." Muhammad and his family encountered the Pakistani Taliban when they left Achin for Khyber Agency a few years ago, hoping to find a peaceful place to live and work. "At that time, most of the Khyber Agency was controlled by a Pakistani Taliban group, which committed various atrocities. So when these Taliban arrived in Achin, it was evident to me they would behave the same way," Muhammad said. Muhammad fled Achin as fighting between ISIS and Afghan Taliban intensified in June. 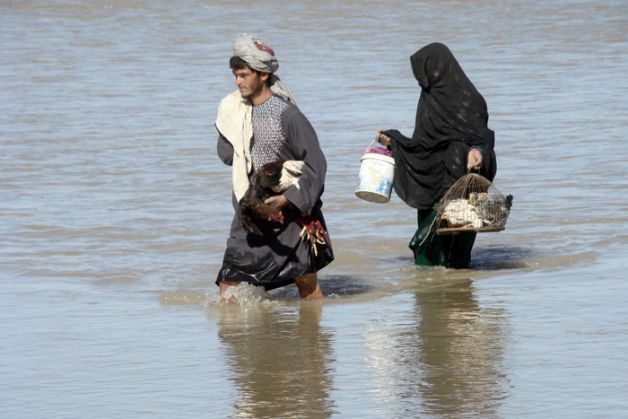 Thousands of civilians poured into the neighboring city of Jalalabad or to Kabul. Muhammad settled his family in a small place called Haji Munji Dagh on top of a dry and dusty hill, an hour's drive from Kabul. He remembers how the nightmare started: Hundreds of Pakistani Taliban started coming in Nangarhar a year ago. Last summer they pushed the Afghan Taliban out of several districts. ISIS first gained a foothold in the country when 10 commanders affiliated with the Afghan Taliban and the movement of the Pakistani Taliban pledged allegiance to Abu Bakr al-Baghdadi on 10 January in a 16-minute video. After that, ISIS in Afghanistan became the target of American drones and it lost six leaders in the next six months, including its emir, Hafiz Saeed Khan. 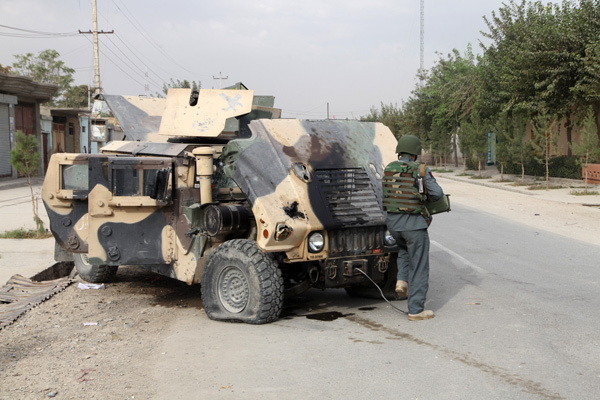 The organization suffered another setback in September when its cell in Helmand was almost routed by the Afghan Taliban. This month, an ISIS cell in Zabul joined hands with a breakaway faction of the Taliban. Afghan Taliban leader Akhtar Mansour sent a force to crush the dissidents and it is not clear how strong ISIS is in Zabul. But in Nangarhar, ISIS managed to create a stronghold for itself and its fighters quickly implemented well-thought measures to establish firm control over their new territory aimed at deterring anyone to oppose them along with a policy of matrimonial alliances. Khairullah, a teacher hailing from Bander valley explains that "their first step was to kill anybody who could challenge them. Teachers, doctors and local mullahs were executed." Implementation of Draconian laws was the second step to establish total control. A young man from Achin who wants to remain anonymous, scared of ISIS, said: "The militants started roaming around in my village to enforce their laws. Long pants were prohibited and we had to let our beard grow longer. Those who were caught listening to music were whipped in the open for all to see." Achin's Sufi shrines were also attacked and tombs destroyed. The Pakistani Taliban had committed similar atrocities when they took control of various districts of north-west Pakistan such as Swat, Dir, Khyber and Orkazai after 2007 and they knew how effective these could be to subjugate the locals. But as they occupied Achin they were crueler than before. Eager to build strong alliance with villagers, they kept on looking for bride. According to locals, women were instructed to wear white burqa to signal their unmarried status. Married women had to wear green burqa while widows were to wear black ones. When parents were asked to give their girl away, they were made an offer they could not refuse: "ISIS is offering a lot of money to the family and in any case, everybody knows that the organization is running at least four jails in Achin," Muhammad said. Anybody can be arrested on flimsy ground and put in jail for weeks. A local from Abdul Khel valley in Nangarhar explained that "a father was asked to pay 7,000 Pakistani rupees to have his son released. But when he showed up with the money, his son was beheaded in front of him. And ISIS took the money." ISIS is unlikely to pose a threat to India at the moment even though it could attract young Indians willing to fight with them. Achin villagers assert that apart from Pakistani fighters coming from Khyber and Orakzai whom they can easily spot with their distinctive Pashto accent, they have not seen or heard about any other foreigners yet. According to Osman Borhan, an analyst at a Kabul-based Afghanistan analyst network, "however loosely you define the presence or activity of ISIS, it has not gone beyond a maximum six provinces since early this year. In two of those it has ceased to exist; those operating there are leaving for Nangarhar, the hub of ISIS activities, he pointed out. "For the Islamic State to expand, it would need the movement of Afghan Taliban to break into a myriad of small groups that would then turn to Daesh to find ideological support. But this is unlikely at present." Yet, in Nangarhar ISIS reportedly pays its soldiers up to $600 a month. That can be a strong incentive for Taliban fighters to sign up. "Nonetheless Afghan authorities seem to be exaggerating the phenomenon, which led them to report to United Nations experts earlier this year that Daesh were present in 25 provinces earlier," said Borhan Osman. "This is because Kabul needs foreign military and financial assistance as the Taliban insurgency intensifies. The government appears to be on an effort to attract the attention of the international community at a time when it is concerned about the situation in the Middle East."